Bill Gates, Microsoft, explains what SenseCam is in Time Magazine. In March 2017 I was visited by Prof Cathal Gurrin, Dublin City University, and colleagues from Flextronics, San Francisco to design a sensing camera system, for lifelogging applications for a startup company LifeCloud. This is a small wearable camera that captures interesting events in the day, original work here at Microsoft Research. Software detects memorable moments, such as seeing friends, laughter or a change in view, and captures images in a few mS. The camera has a 170 degree wide angle lens, various environmental sensors, 14 hour battery life, blur reduction. Image search from the camera is provided by Google photos. Sensecam has proven to be useful re memory loss and dementia. Here is a video from the BBC (4 mins) by James May ( BBC TopGear) visiting Alan Smeaton of Dublin University demonstrating the first Sensecam in 2008. UPDATE July 2017. The LifeCloud company, of 8 people, will be closing due to finance and management issues. 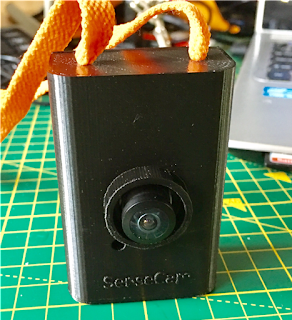 Due to many requests for SenseCams from Universities and hospitals, Girton Labs and Lyndsay Williams are looking to progress the SenseCam under new management. 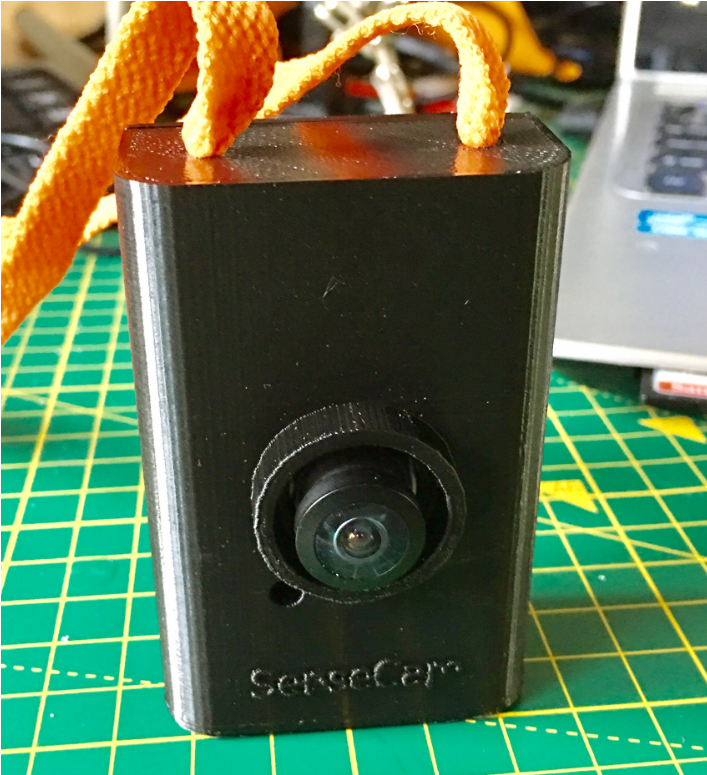 We now wind the camera forward to 2017 and the latest Sensecam. I provided to LifeCloud a sensing camera designs specification, working hardware and firmware. One camera design was for preproduction trials and one for production. 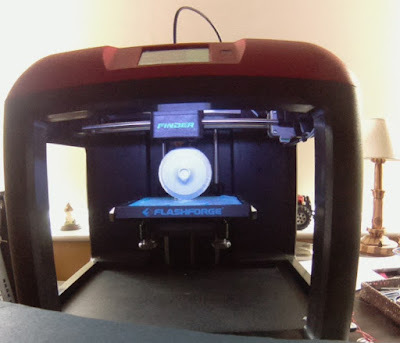 I decided to make make the preproduction camera open source, hardware , firmware, case CAD design, as per my blog post in 2009. Bluetooth, wifi , HDMI, USB connectivity to phone and pc. This all fits within the case as above. All above is working, but not yet the audio recording, external sensors, (proven with 2004 SenseCam) automatic wifi upload of images, this is done using the micro SD card. Test video of sensecam 2017, 2nd April before anti blur software added. 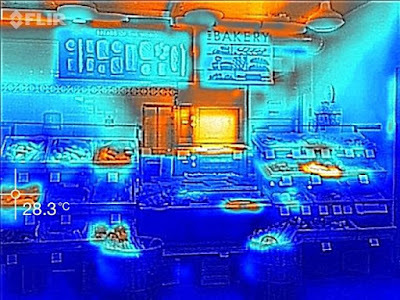 Edge detection in Raspberry Pi. experimental circular Sensecam being printed by Flashforge 3D printer recorded by another Sensecam, video here. Google image search results for "spectacles Girton" in my Google Cloud. Includes new Sensecam images. Google found them on my kitchen table as below. I plan to work with Cathal Gurrin re this, contact me Lyndsay Williams, sensecam@gmail.com re design files for BOM, firmware and CAD case, or to arrange a public share online. 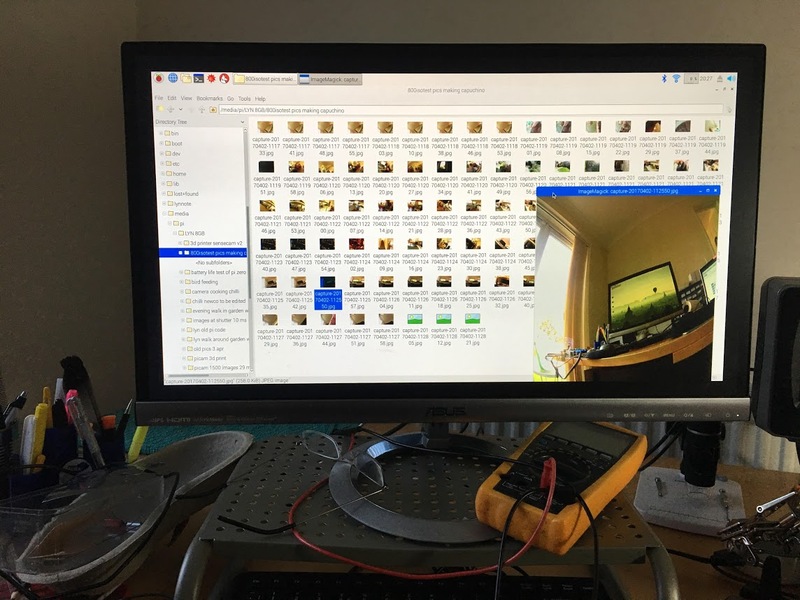 For a built of 100 cameras, a Raspberry pi Zero W is economical. For the production design, of more than 100, we plan to use a smaller formfactor, based on 400MHz ARM computer , as in image below. This will have a spec similar to above camera , with a microphone, and Real Time Clock. Taken with FLIR camera, not yet in SenseCam. "Sensecam" name copyright Lyndsay Williams. All intellectual property and designs in this blog owned by Lyndsay Williams, unless mentioned otherwise. Nice work! I look forward to hearing about your progress. What sort of typical battery life do you expect to get with your (future) 400MHz ARM based device when it's continually recording? In my experiments with Raspberry Pi Zero + Pi Camera Module, it's hard to make a continually-recording wearable Raspberry Pi based camera unless you have a large battery pack. Hi Shervin, thank you. In theory up to 23 hours in same enclosure due to power management software and also the Pi + Camera will work in spec at 3.7V, eliminating two power regulators.